Weight gain gives tension. It invites many health complaints & disturbs your beauty. So we try to be slim with spending lakh of rupees, with different herbal, chemical treatments. Many do Gym, exercise. with strict diet many suffer from Low BP & Sugar. Till the time you follow these treatments weight reduces but when you stop them then the weighgain starts & there is no permanent solution. Either you continue them lifetime or again weight becomes a problem. Regular daily exercise, 1 to 2 hourse Walk, Suryanamaskara, Housework, Floor Cleaning, Yoga are the many easy ways for daily exercise which are very fruitfull in such complaints. A fittness tonic for all ages is developed in a combination of sweetslimm tablet. Its a safe, slimming treatment. Take 1 to 2 Tablets twice a day & gradully increase as per requirement. Lighter feeling, energy, reduction in extra fat, cutting false hunger, relief from complaints like body pain, Joints pain etc. Sweetslimm works as a best tonic in todays no exercise lifestyle. Use this treatment for 3 to 4 months or you can continue further also. Initially take Sweetslimm 1, Vatshaanti 1, Tanvishataa 1 & then continue with only Sweetslimm further. Those who have high BP complaint can take Sweetslimm 1, Vatshaanti 1, hatajivanti 1 along with other aleopathic medicines. In irregular late periods, less flow take 1 Sweetslimm, 1 Vatshaanti, 1 Tanvishataa once or twice a day & at bedtime take 1/4 tsp Tanvitila oil with luke warm water. Use this treatment for 3 to 4 months & once menstrus regularise then gradually you can stop the treatment & in future take if required. Since this is a totally herbal treatmentit is very much safe to use. Sweetslimm works on worms infections. stomach pain, white patches & many such symtoms of worms infections. with Sweetslimm twice a day take 2 to 3 glass of water with 1 tsp lemonjuice & a pinch of salt. Avoide oily, spicy food & heavy sweets. Use These Tanvi treatments regularly. Consult Tanvi doctors for best result. You can also take many treatments together at a time & Even with allopathic or homeopathic medicine also. All Tanvi products are availabel at medical stores & at Tanvi Clinics. Till the age of 5 years 1/4 tablet dose & afterwards 1 tablet dose is advisable. But Tanvishataa & Tanvijyeshta are the tonic treatments so even children can consume them in 2 or 4 tablets doses. For further details & information contact nearby Tanviclinic. Organise Tanvi lectures given by Dr. Medha on Ayurveda & natural remedies in your school, college, clubs & other institutes. Contact at Tanvi ,Ghantali, Thane for Dr. Medha's lectures. After the combinations, seperate productwise information is given in this booklet. Read it carefully. Take Tanvi Combinations all together after breakfast or lunch & after dinner with water. Continue for 3 to 4 months & then gradually stop or you can use it as a tonic in future. 3 Anemic condition Tanvishataa 2+Tanvigorex 1 + (if required ) Shatjivanti half with water or milk. 4 Weight gain Ashwayashti 1+Tanvishataa 2 +Tanvigorex 1 tablet. 5 Tooth Ache Healing gums Brush with Dhavaldanti.Gargle with one tea spoon of Tanvitila oil. 7 Urine stone and Urine infections Tanvishataa 2-2 tablets. 15 Mouth Ulcers Tanvijyeshta 1-1 Tab. & wash off after 2 minutes. 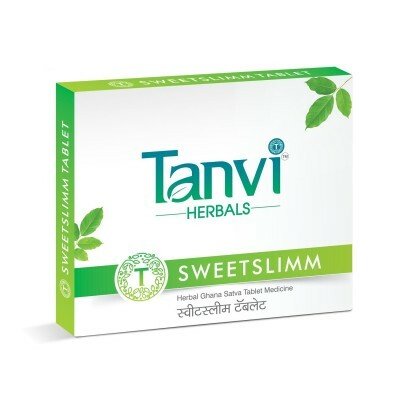 bedtime Sweetslimm 1 + Vatshaanti 1 irregular periods, + Tanvishataa 1 + (take orally Tanvitila oil 1/4 tsp. 44 Worms infections Wormex 1 after dinner. 45 Bed Wetting Ojasaa 1 after dinner. 58 Hair wash For rough, infected hair Keshkirti 1/2 TSP + any Shampoo 1/4 TSP +Water 1/4 Cup. Wash twice or thrice at a time. Tips for healthy Bath Do not pour more hot or cold water on head. It’s harmful for the skin. fish together, Milk and Mungdal Khichdi. This is opposite combination as per Ayurveda which is harmfull for health.